Everyone knows that exposure to lead can result in health issues… right? If not, then stay tuned because apparently you need a quick tutorial — especially if you have small children! Due to the rapid rate at which children’s brains grow, overexposure to a heavy metal like lead may result in altered development which could, ultimately, result in stunted development of a child’s brain. Doesn’t lead poisoning have obvious symptoms? Only after prolonged exposure will the signs and symptoms of overexposure to lead (or any other heavy metal for that matter) manifest themselves and by that time possibly irreparable damage may have already occurred. How do children get exposed to lead? Older homes (mostly built prior to the 1970’s) may contain paint on their walls or radiators that contains lead as an additive. What if we painted over the older paint? Dust from the old paint will still exist in the home and small children really seem to enjoy picking at things… like bumps on the walls, baseboards, etc. Small children then, as we all know, also have curiosity about the taste of strange or new things like paint chips — and will in a lot of cases attempt to eat them if not caught in the act. Additionally, even if a parent catches a child with paint chips and takes them away, we have heard that the dust from the lead-bearing paint chips will not get removed from a child’s hands without a good scrubbing/washing. In past years several public uproars have occurred because it came to light that toys intended for small children contained outlandish levels of lead. Those toys, if chewed on or sucked on — as small children will often do — had the potential to administer seriously detrimental levels of lead to small children a short period of time. We recently read that some imported vinyl miniblinds also, at some point, contained potentially harmful levels of lead that could rub off on a child’s hands… and possibly wind up getting ingested when a child then puts its hand or hands into its mouth. Older plumbing and water service lines may contain piping that has joints connected with lead-bearing solder which, studies have shown, may eventually leach some of it’s lead into the water supply. Lead occurs naturally in nature which it very well could show up in ground water (well water). While lead pollution from natural sources usually does not make the news all that often, it can still happen. Not all manufacturing and industrial facilities properly treat and/or dispose of their process water before releasing it back into the environment. In some cases, due to the expenses associated with removing certain contaminants (like heavy metals), facilities will knowingly violate Local, State and Federal laws pertaining to allowable discharge levels of environmental contaminants into lakes, streams and even public sewer systems. OK, now that we have painted a somewhat bleak outlook for children’s safety when comes to avoiding overexposure to a heavy metal like lead, please allow us to give you two pieces of advise: 1) Make sure children — and adults, too! — wash their hands thoroughly before eating, drinking, handling food or putting their hands into the eyes, nose or mouth; 2) Have your drinking water tested for lead. Compared to the daunting task of stopping a small child from doing ‘normal’ kid things, periodically testing or having your water supply tested for the presence of lead and/or other potentially unwanted drinking water contaminants is a proverbial walk in the park! How can I test my water for lead? 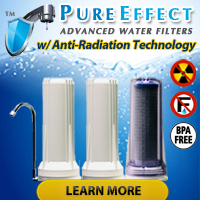 Earlier in the article we posted a picture of the WaterSafe Lead in Water Test Kit… because it quickly lets home and business owners know if their water contains dissolved lead in concentrations of 15ppb (parts per billion) or greater. Why 15ppb? Simple: The USEPA set the MCL (maximum contaminant level) for dissolved lead in drinking water at 15ppb. If during routine testing a public water system discovers that the dissolved lead concentration in its water has reached or exceeded 15ppb, they must immediately take action to bring that level down. 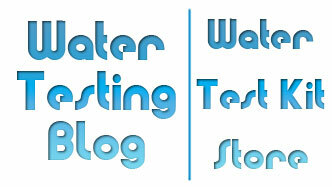 Will the WaterSafe Lead Test tell you a precise number for a water supply’s lead concentration? No, but you also must remember that the test does cost only $10 in most places — like our Water Test Kit Store. How can I get a more precise lead test? We suggest starting with a call to your local water and health departments to see if they have any free or discounted testing programs available. If not, then ask one or both departments for a list of certified water testing laboratories in the area. And finally, if both those efforts fail, we know for sure that National Testing Laboratories offers a number of comprehensive mail-in water testing services that include testing for lead in water and get performed by certified and accredited water testing facilities. « Will WaterWorks Total Hardness Test Strips Work After the Expiration Date?